People aren’t transactions. Customers and communities want to be heard, respected and valued. 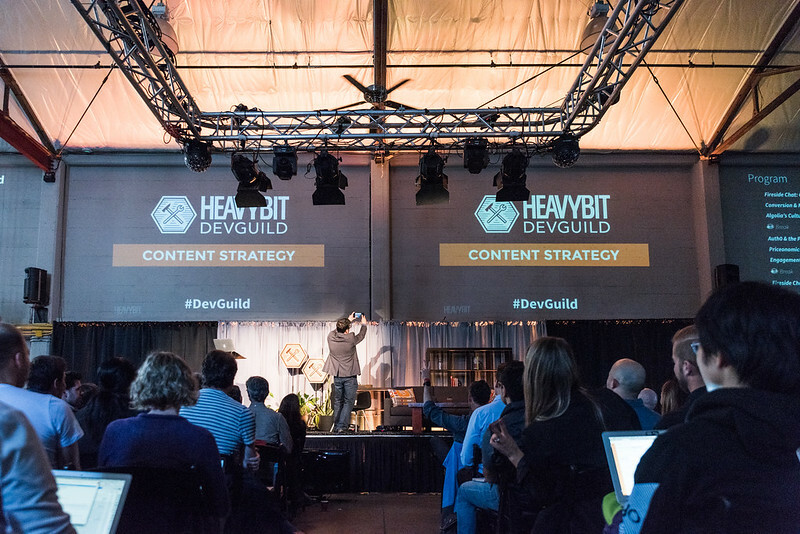 On April 12th, 2017, 200+ leading SaaS founders, marketers and community builders who’ve mastered the art of driving revenue with content that’s entertaining, educational, and above all, useful came together for DevGuild: Content Strategy. You’ll find videos of each of the day’s amazing talks below. Journalist Om Malik founded technology blog Gigaom in 2001. With seed funding from True Ventures, he turned the one-man blog into a media company and research firm. Not long thereafter, Om became a venture partner at True Ventures. In 2014, he graduated to partner at True where he continues to invest in promising networking and internet infrastructure technologies. Om regularly writes for The New Yorker and provides commentary on tech trends to broadcast channels including Bloomberg West, NPR, and BBC television and radio. He published his first book, Broadbandits: Inside the $750 Billion Telecom Heist, in 2003. There’s no point in creating stellar content if it doesn’t map to ROI. But how do you determine ROI, map it to your funnel and ensure you’re evolving your marketing efforts to optimize for revenue, acquisition and org-wide outcomes. Watch MongoDB CMO Meagen Eisenberg, Twilio’s Head of Content Devang Sachdev and VP of Marketing at Box Lauren Vaccarello in conversation with Reify founder Michael Bernstein as they discuss the metrics, tooling and decisions required to convert content audiences into paying customers. With just under 100 employees, Search API company Algolia serves over 2500 customers, handling 28 billion queries per month for customers like Twitch, Periscope, Medium & TeeSpring. With support for more than 30 API clients and integrations, their developer community remains at the heart of the company’s sales growth. But rather than pinning developer outreach on a few ordained influencers, Algolia’s Brand Director Liam Boogar discusses how the company’s internal training programs aim to get 50% of the company publishing and speaking within the year. In 2014, Auth0’s first marketer Martin Gontovnikas was tasked with growing the company’s reach and engagement. After a period of trial and error with story ideas, SEO optimization, landing page redesigns, newsletters and push notifications, he identified key influencers and built a strategy designed to scale. Today, with more than 96% of Auth0’s inbound leads driven by content, the team has captured a strong audience of loyal React, Angular and NodeJS customers using influencer strategy as the catalyst. Every early company is looking for a way to increase reach and top-of-funnel traffic. But how do you ensure your content strategy is both adding value and reaching enough potential users? Watch Priceonomics CEO Rohin Dhar as he discusses how companies can leverage their unique data to increase distribution and reach via social media sharing, new channels and syndication to more traditional PR outlets. In the last week of January 2017, President Trump signed an executive order banning US entry from seven Muslim-majority countries. Twitter and Facebook were abuzz, airports were flooded with protestors, and a 97-year-old legal organization took the White House to court and won, overturning the ban. That weekend, the ACLU received more than 350,000 online donations totaling $24 million dollars — 6x the org’s average annual funds raised. Learn about the content strategy secrets of the ACLU with the organization’s Director of Online Engagement Jenn Sturm in this special fireside chat with Unitive CMO Rachel Chalmers.